I can’t believe that in this day and age in this country, so many people rely on Food Banks. I could really go to town on this subject and still wouldn’t scratch the surface of the problem, so I’ll try my best to leave politics out of it. I’m fortunate to live in a nice area with real affluence at one end of the scale and (on the face of it) not-that-bad at the other end of the scale. There are low numbers of social housing and most households are made up of relatively wealthy pensioners or mid to high income two parent families, comfortably protected from the breadline. 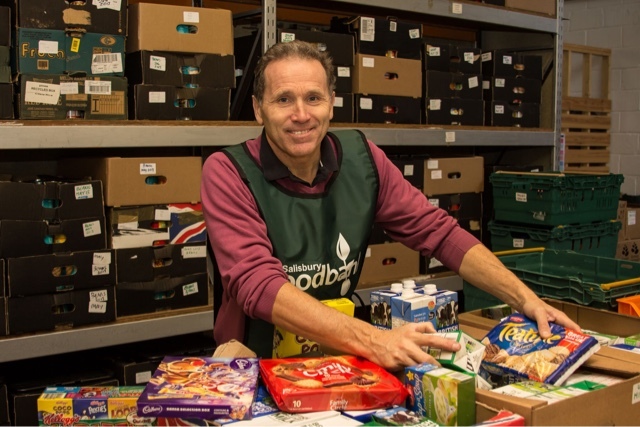 Yet all is not quite as it seems, because as of 2013, this area has had its own Food Bank – one of over 400 across the UK run by the Trussell Trust. It goes without saying that food is essential. And I don’t care what privileged TV cooks tell you – it’s NOT cheap to feed a family healthy nutritious food all the time. I can afford to buy fresh fruit and veg but it’s cheaper and longer lasting to buy breaded frozen fish or chicken – something loads of kids love. For the price of two avocados in Waitrose you can feed a family of five in Iceland. That’s not a joke. Try it. Quality is a luxury many people can’t afford. I know I’m lucky. I’m lucky to eat plenty, I’m lucky to eat well, and I’m lucky that I can afford to choose what I eat to suit my diet and to cater for cultural/family occasions. Food is such a big part of life in our family: if we’re feeling poorly we’ll have something wholesome and comforting, if we’re down we’ll have a treat to cheer ourselves up. And of course everyone appreciates a good spread at Christmas, birthdays and funerals. You should see me at a buffet – I’m like something from the Avengers; cartwheeling to the front of the queue and roundhousing a perfect pyramid of sausage rolls onto my paper plate. Sadly, not everyone has the means to feed themselves and their family decent food on a regular basis, much less splash out for important occasions. It’s not the stereotype of an impoverished Dickensian family with grubby faces that are struggling to make ends meet that I’m talking about either, but ordinary people who have faced redundancy, benefits issues, bereavement, mental or physical ill health and so much more that conspires against people like you and me. A 2016 survey by housing charity Shelter revealed that a staggering 1 in 3 families are just one pay cheque away from homelessness – meaning that losing their job or not being paid when they’re sick would leave them unable to keep up with the rent or mortgage. And it really is people like you and me: we are all human beings and I absolutely cannot understand the mindset of someone who does not feel any sort of compassion towards fellow humans. 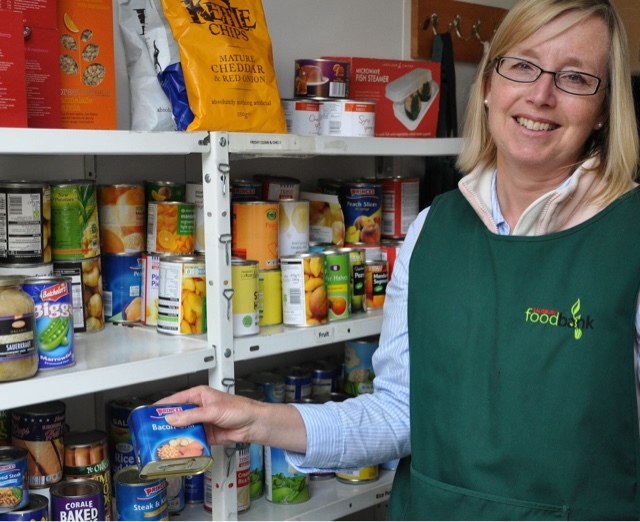 For lots of people these days, it’s a good job that the Food Bank does exist and although I might only manage a couple of tins or packets at a time at least it’s a start. There are other ways to help of course; donating directly to the Trussell Trust or volunteering your time. If you donate foodstuffs you can do it in most supermarkets, where there’s usually a trolley near the checkouts that you can pop something into on your way out. There’s info online about what’s best to donate, and I always try and make it something I’d like rather than recreate the horror of my mum sending me into school with dead old tins of unloved fruit salad for harvest festival. My son is only two but I try and explain that we put an extra tin or some pasta in the “special trolley” to help other people “who haven’t got much in for tea”. It seems to go over his head but I hope it rubs off on him. If I raise a child who thinks society’s problems are nothing to do with him then I’ll be deeply disappointed in myself. In the meantime while he is growing up (on both avocados and frozen chips), the Food Banks across Britain show no sign of dwindling. In equal measures I am both proud of humankind’s generosity and ashamed that in the 21st century we can still let this happen. Most of all, selfishly I know, I hope it doesn’t happen to me.